Support Desk is an easy to use web-based portal that allows customer support staff to handle customers' questions and requests. 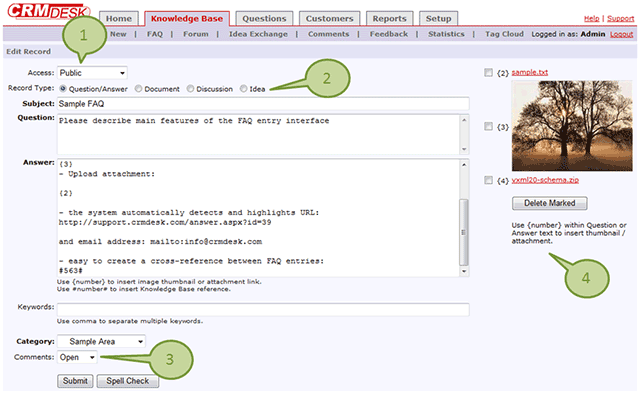 Manage FAQ, Forum and Idea Exchange knowledge base here. The most important CRMdesk part for collecting all customer questions. All information about customers is collected here. Monitor your support work using statistical reports. Customize and configure CRMdesk for your business. 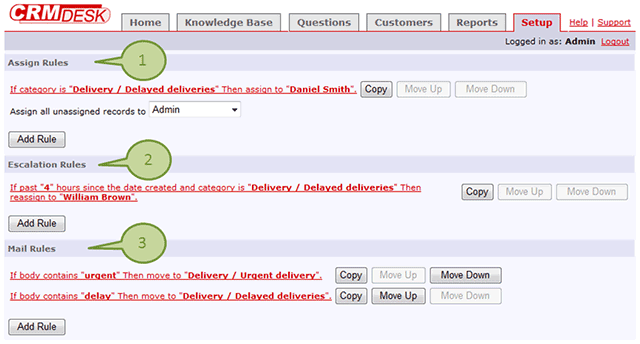 Manage your knowledge base records. You may limit a customer access to the record. Chose the type of the record. Indicate the comment about record status. Attach files related to the record. Classify and filter records for your report. Calculate number of questions and processing time. Visualize your report applying a suitable chart. 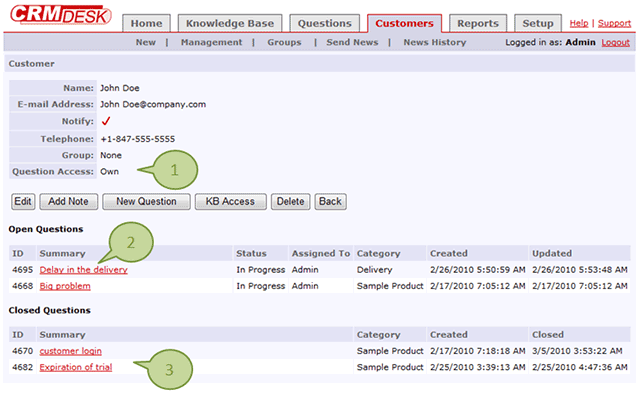 Add Custom fields for collecting complete information about your customer. Create Custom fields to be reflected in question form. Organize rules for assigning questions to the responsible staff. No questions are left "unattended" for a long time if you customize escalation rules. 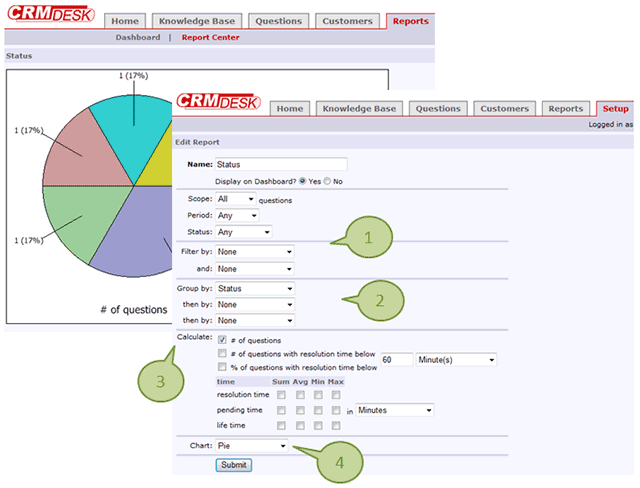 Define how CRMdesk system creates questions based on the customer e-mail requests.